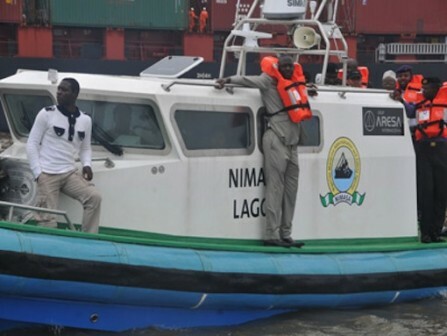 Peterside was speaking during the opening ceremony of the 2nd Technical Session of the Regional Maritime Rescue and Co-ordination Centre (RMRCC), comprising of the West and Central Africa Sub-Region, that held in Lagos. The DG who was represented by the Head, Maritime Safety and Seafarers Standards Department of the Agency, Engr. Femowei Abel reiterated the Agency’s commitment to SAR operations in the region and called on other member states to support the quest for safety and security in the Sub-Region. “Shipping is a global business and it is one of the activities that knit all economies in the world together; so the need for safety of lives and security at sea as highlighted by the IMO in its convention cannot be overstated” the DG said. Earlier in his address, the Chief Executive Officer of the International Maritime Rescue Federation (IMRF), Mr. Bruce Reid disclosed that over 400,000 lives are lost yearly to marine incidences globally and that collaboration between maritime nations is very necessary in order to mitigate the scourge. Mr. Reid whose organisation is an independent body with consultative status with the International Maritime Organisation (IMO) also commended Nigeria for her coordinating role in SAR operations in the West and Central Africa Sub-Region and pledged the readiness of the IMO to work with the region in areas of challenges being faced. Nigeria hosts the Regional Maritime Rescue and Co-ordination Centre (RMRCC) for West and Central Africa, which is saddled with the responsibility of coordinating Search and Rescue operations in the region.